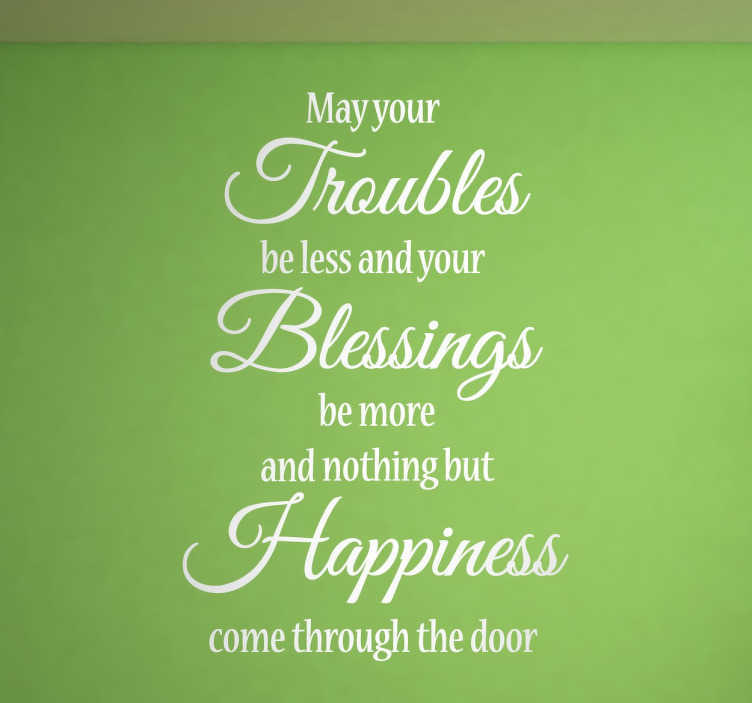 Wall Stickers - "May your troubles be less and your blessings be more and nothing but happiness come through your door" - Irish Proverb. Wall art quote feature for the home. Available in various sizes and in 50 colours. Made from high quality anti-bubble vinyl. Easy to apply. Can be applied to any smooth surface, also easily removable when needed leaving no damage or residue. Ideal for your home décor. Suitable for decorating walls, windows, furniture, appliances and more.